← The Sports Archives – The Player Who Hit For Opposing Teams In The Same Game! The Sports Archives – What Is Kite Surfing? Kite surfing is a water sport that uses a board and a kite to travel across the water. In order to kite surf you balance on the board as the power of the wind causes the kite to move. The speed that you will travel depends on the strength of the wind and the angle at which the kite is held. Who can take part in kite surfing? The kites come in a variety of different sizes and this means that they are suitable for riders of all different builds. It may not be suitable for very young children but most instructors will accept students that are aged ten and over, and many people continue to kite surf into their sixties and seventies. You do not need to have any experience of kite surfing to get started, so it is an ideal water sport for people of all abilities. The main equipment that you will need is the board and the kite itself, as well as a harness which attaches to the kite. As it is certain that you will be getting wet, specialist clothing is also a good idea. An h2o sports men’s wetsuit can be a good choice as this will keep you entire body protected while you are out on the water. Generally speaking the equipment needed for kite surfing is very easy to transport as the kite can be compressed into a small bag and the board is relatively small as well. There are different designs of kites that suit different levels of experience, so if you are new to the sport then you may be better off with an entry-level kite. You can also upgrade later to a kite that is more suited to performing stunts and tricks if this is something that you want to try your hand at. Larger boards are more suited to beginners, with smaller boards more likely to be used by people who are more experienced. There are numerous health benefits that kite surfing brings. It can strengthen muscle groups all over the body which can improve your overall fitness. In particular your legs, abs and arms will all get a workout. However, even though your muscles will be working, the water takes all the power of the kite so there is no excess strain on the muscles and you will not tire quickly. Kite surfing is not an expensive sport to participate in. Once you have purchased the equipment there are no ongoing costs to pay. You may be able to hire equipment to start with while you are still deciding if it something you wish to pursue. If you wish to take lessons then this will be an extra expense, but again is not something that would be very expensive and they should be seen as an investment in future enjoyment. 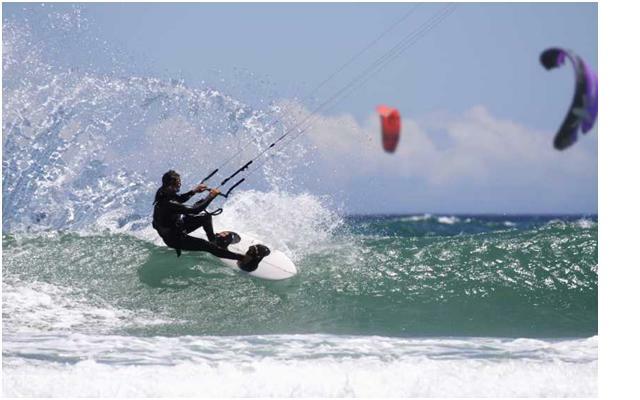 As kite surfing does not require any waves like similar sports and it can be done in any open water. This makes it very accessible and is one reason why it is becoming such a popular sport. If it is something that you think you would like to try then there are many locations around the UK that offer lessons. Top Ten List Of World’s Best Surf Spots! 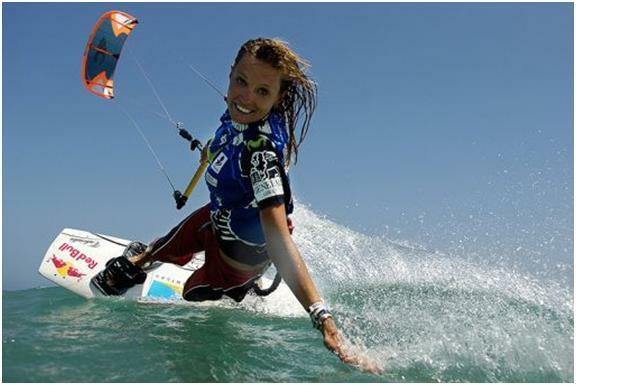 This entry was posted in Other and tagged Kite Surfing, kite surfing archives, kite surfing blogs, Kitesurfing, sports and fitness, sports and leisure, sports and recreation, Sports Archives, Sports Blogs, water sports, water sports to try. Bookmark the permalink.